One of my favorite ways to come up with new recipes is taking one I already love and changing the flavor profile. When it comes to sweet stuff, one of the first things I think about is what will happen if you swap out sugars. Often times simply changing from white sugar to brown sugar completely changes the flavors and adds depth, warmth, and caramel undertones. That’s exactly what happened when I made my favorite easy vanilla ice cream with brown sugar, instead of the regular white sugar. I added a healthy dose of vanilla extract as well and suddenly I had this beautiful golden mixture that tasted like caramel. 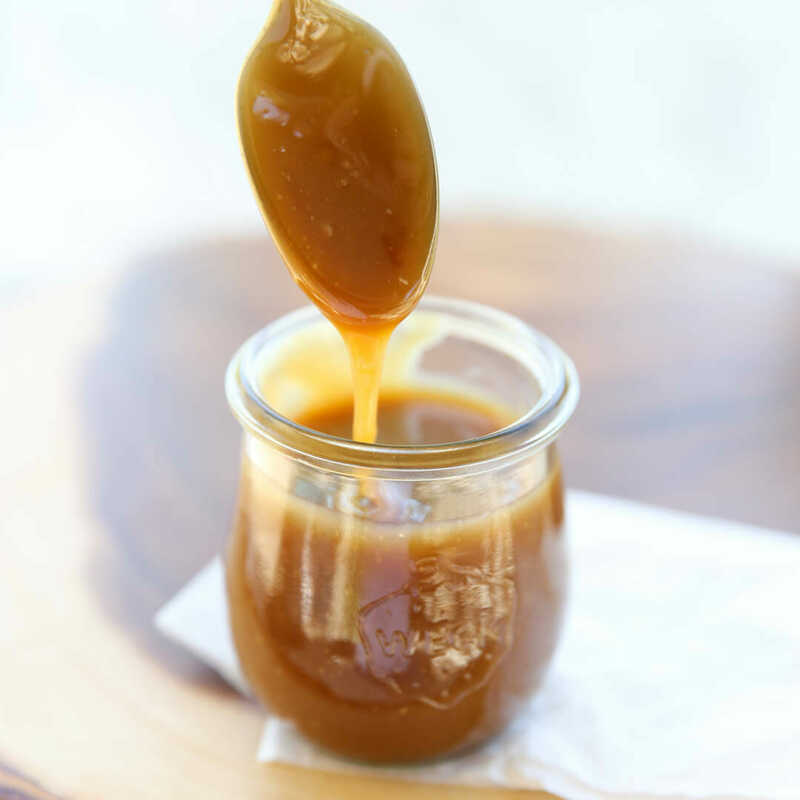 While the ice cream base was processing, I whipped up a batch of my easy Salted Caramel Sauce. When the ice cream is finished churning, layer it in your container and drizzle the caramel in as you go. I also sprinkled in some Maldon flaky sea salt so you get little crunch bits of salt and chunks of caramel ribbons. So easy and super indulgent. 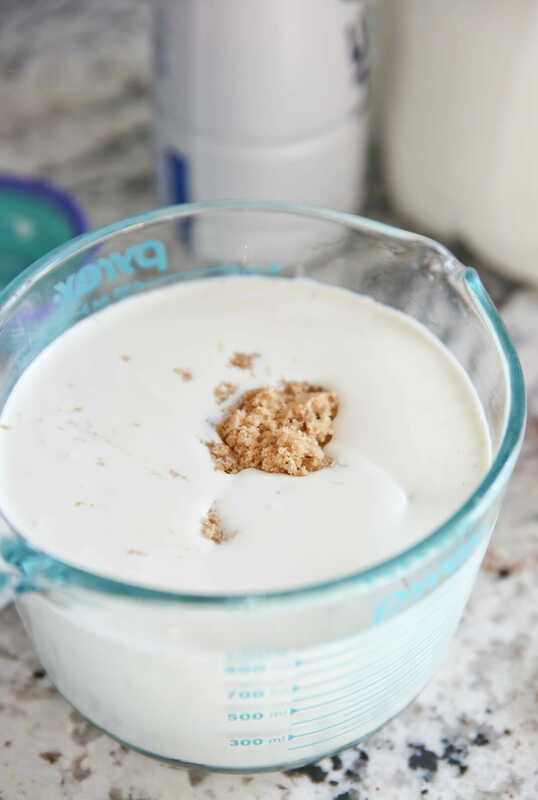 Oh, and if you missed my favorite containers for homemade ice cream, I talked about them in my Mint Chocolate Ice Cream post, and you can find them here! 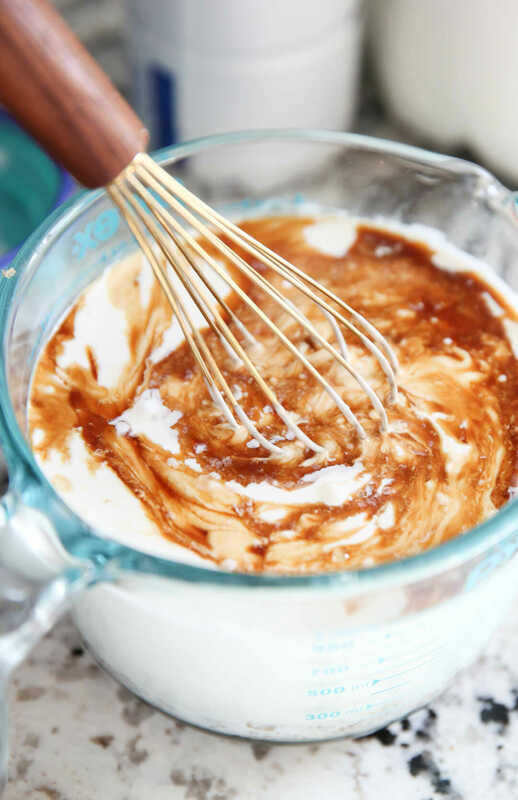 And if you double the caramel, you’ll have extra to drizzle on top, and that’s always a good idea. 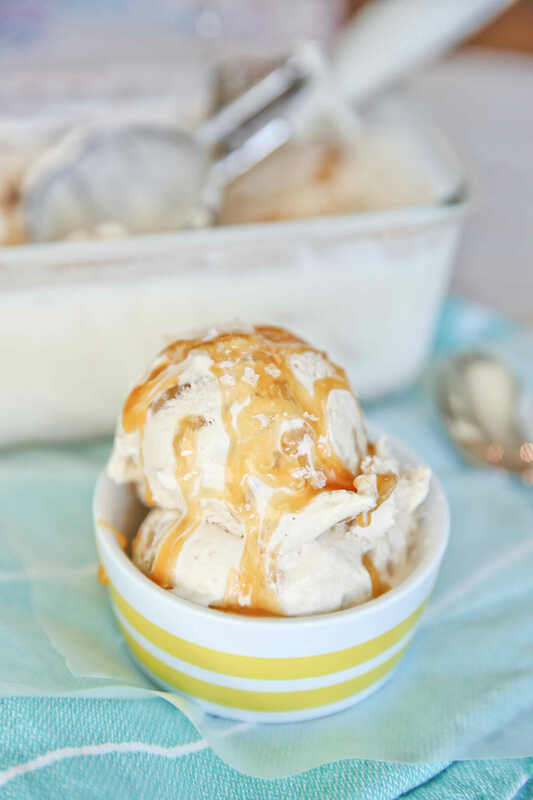 Super quick and easy homemade salted caramel ice cream with flaky sea salt and from-scratch caramel ribbons. If you’d like extra caramel for topping, double the caramel sauce part! 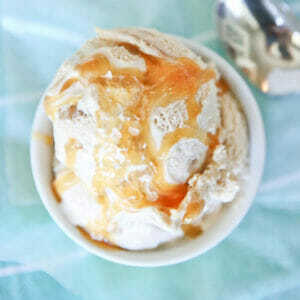 To make ice cream, whisk together all ice cream ingredients and process in your ice cream maker. 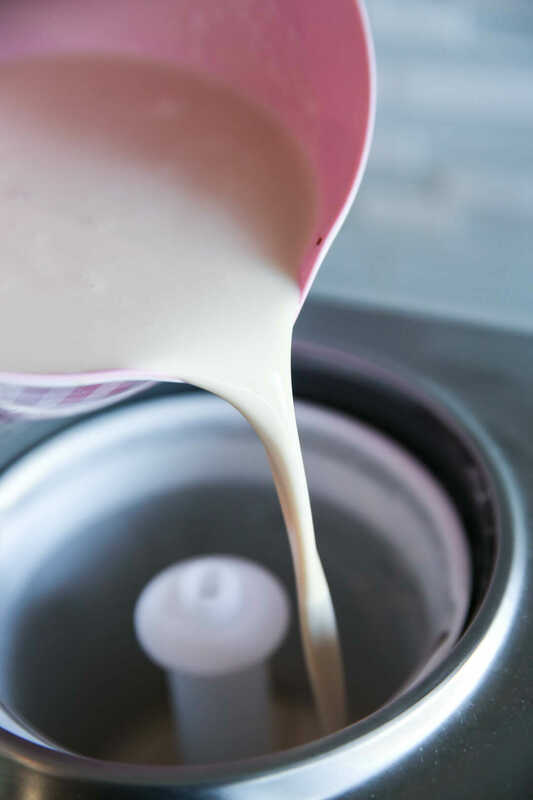 For caramel, heat butter, brown sugar and cream in a pot on the stove top, stirring until melted and smoothed. Bring to a boil and then turn down to a simmer for 3-5 minutes. Remove from heat and add vanilla and salt to taste. Start with 1/4 teaspoon salt and add more if desired. Cool to room temperature. 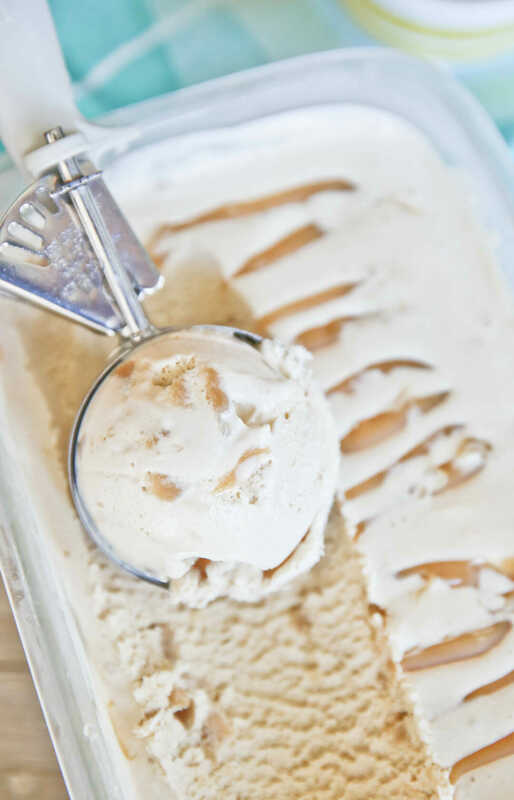 When ice cream is finished churning, layer it in a freezer-safe container and drizzle caramel in as you go. If desired, sprinkle in a little bit of flaky sea salt as well. Freeze until firm and serve with additional caramel if desired. Looks yummy! I love vanilla ice cream with caramel swirled in it. You can find all of our slush and smoothie recipes, here! 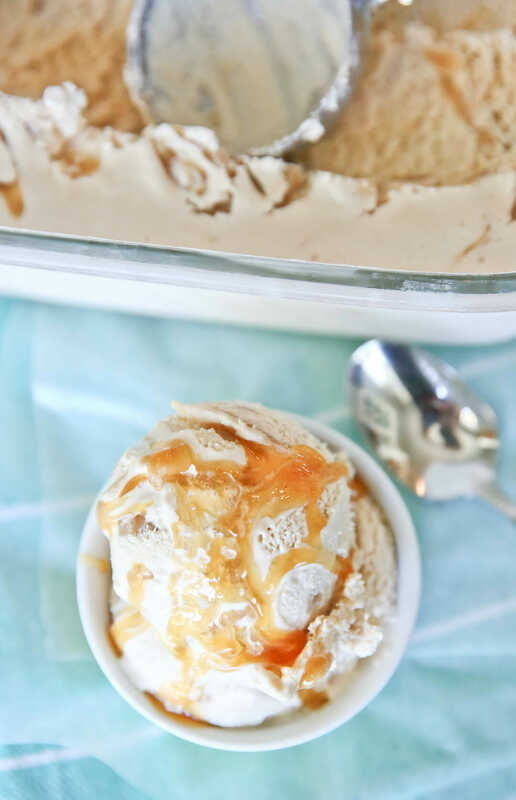 I’ve been dying to make caramel ice cream in my new ice cream maker, you’ve answered my prayers! ? So you don’t have heat the ice cream base to dissolve the brown sugar, just put it in the ice cream maker? I have an old fashioned style ice.cream maker,.I don’t know if that makes a difference. Nope, no cooking necessary. Just stir until it is pretty much dissolved! Can’t wait to try this! On another subject, I cannot find any dates of when your recipes were posted, do you leave off the dates now or maybe they are there and I cannot find them? I have always wondered what it would taste like with brown sugar. I’ll have to give it a try next time we make it.